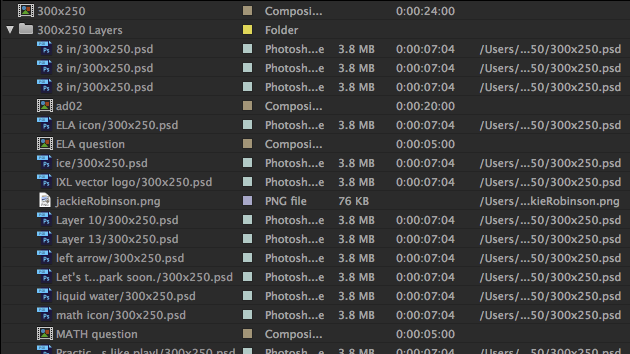 I have imported a layered Photoshop file into After Effects as a layered comp with several .psd "footage" layers. I've created and edited the comps within the 20s main comp with animations and effects. Now I need to extend the static layers(all 7s) to the length of the main comp(20s). 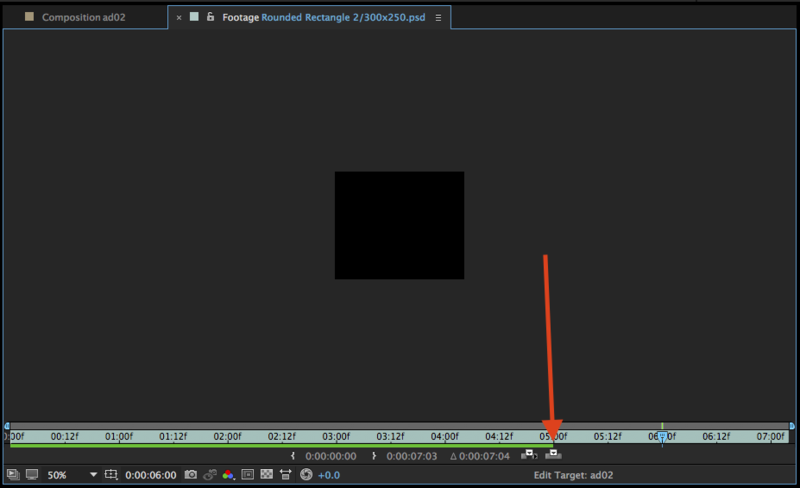 I've tried dragging to extend their regions and right-clicking > Time > Enable Time Remapping(this allows me to extend the region with keyframes, but the content still ends short of the comp length). I can see this when I drag the playhead in the main comp timeline—the layers with this problem disappear at 5s even though their regions extend to 7s. 1. I need to get these layer regions to extend the length of my 20s comp. 2. It seems like the layer source only goes to 5s when I "Open Layer Source", so even if the region goes to 20s, the 'content' only goes to 5s. How to I get extend everything to 20s without reimporting everything and doing all of my keyframes/animations/effects over again? Or is there a way to reimport those layers, but keep all of my keyframes/animations/effects. Using the latest Photoshop CC 2015.5 & After Effects CC v2015.3. Open the imported comps. Not in the layer source window, just as comps (i.e. double click from the project panel). Go to the composition settings menu and change the duration to whatever you want. Drag the out-points of all the layers to the end of the comp (hint, press the end key on your keyboard and then with all the layers selected hit alt+]). In your main composition you will now be able to drag the end of the photoshop comps to their new length. Place your cursor over the very end of the layer bar in the timeline. It should be a horizontal double ended arrow cursor. Drag to the right to extend the layer to the end of the comp. I had the same issue. Time remapping worked for me. 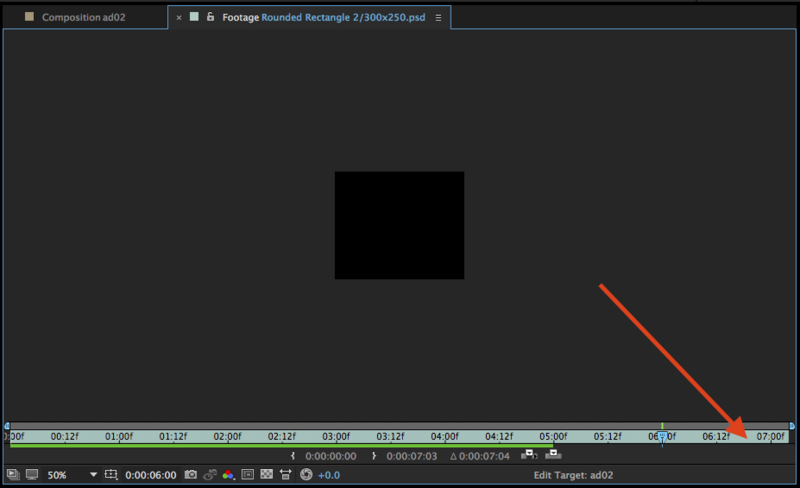 When you Time Remap, it adds Time Remap keyframes to your layers. Then you can extend your layer bar as you usually do. And finally drag Time Remap keyframes to the end of the comp. That worked for me and didn't stretch the time. I had this happen to me when importing a single .png. No matter what I did once the file was in AE, I just couldn't adjust it. Turns out that when you import a .png there is an option to import as a "PNG Sequence" at the bottom of the import file dialog. It was checked. So, I unchecked it. POW, worked like a charm. Imported PNG assumed the full length of the composition when I dropped it in. 3D composition shows up as 2D in main project view? Best way to set up my AE project?